ABCMoney is just the beginning. The founders of Lollaland are pictured. “Shark Tank” alumni, including the founders of Bombas and Coffee Meets Bagel, say their experience on the show was valuable even beyond getting an offer. For example, it forced the entrepreneurs to think about their business more carefully as they prepared for their appearance. Those founders who received offers say it confirmed that they had a compelling business idea. Few if any “Shark Tank” alums will say they didn’t care about the prospect of making a deal with one of the investors. But many entrepreneurs have told Business Insider that their experience in the tank was valuable not solely for financial reasons. Consider Randy Goldberg, cofounder of sock company Bombas. He and cofounder David Heath appeared on “Shark Tank” in 2014, ultimately landing a $US200,000 deal with Daymond John. Goldberg said the mere act of preparing for their appearance on “Shark Tank” was useful. The cofounders compiled a spreadsheet with nearly 300 questions that the Sharks had asked other entrepreneurs, and rehearsed their answers to these questions over and over again. Jack Mann, founder of earplugs company Vibes, hired a coach to prepare for his appearance on “Shark Tank,” and learned a technique to help him remember his pitch. Mann said he still uses the technique – which involves associating a keyword in each paragraph of your speech with a different image – today, when he gives presentations. Multiple other entrepreneurs who received offers from Sharks said it confirmed for them that their business idea was compelling. Dawoon Kang, cofounder and co-CEO of dating app Coffee Meets Bagel, appeared on “Shark Tank” in 2015 and declined Mark Cuban’s offer of $US30 million for the entire company. Kang said she and her cofounders have no regrets about turning Cuban down – even though other people called them greedy. 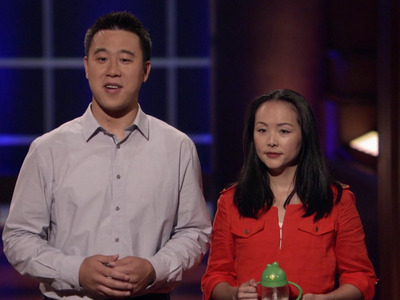 Mark Lim, cofounder of Lollaland, went on “Shark Tank” in 2012 and won $US100,000 from Cuban and Robert Herjavec. Lim told Business Insider that getting “validation” was a key benefit from the experience – especially since the business was still in its infancy at the time. The exposure that comes with appearing on “Shark Tank” – which has a national audience of about 10 million, according to the New York Post – is perhaps the most meaningful benefit.